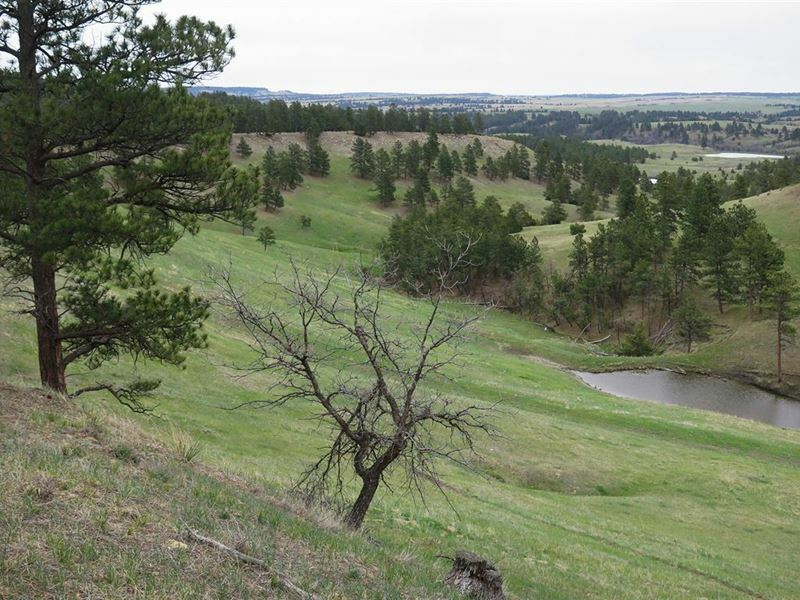 1,439± acres - ranch in the scenic foothills near Hulett. The ranch consists of 1,439± total acres, which includes 629± deeded acres, 640± acres of State Lease and a 170± acre BLM Grazing Permit. There is a cow camp with a water well, electricity, mobile home hookup, a shop and corrals. A variety of cabin sites are offered with southern exposure and sweeping views. Other water resources on the deeded land include five reservoirs and an intermittent creek. The property has a rugged and picturesque landscape offering awesome views and privacy. High plateaus with hay meadows lead to secluded draws and timbered hills with pine, cedar and bur oak trees. Both Mule Deer and Whitetail Deer, along with Merriam Turkey frequent the property. Wallace Draw presents all of the characteristics necessary for a prime recreational holding, hunting camp or private retreat. List Price Visit for more info or call.